I was really happy to see lovely local bloggers Claire and Bridie in the queue (yes, it was a red velvet rope affair – how fancy!) 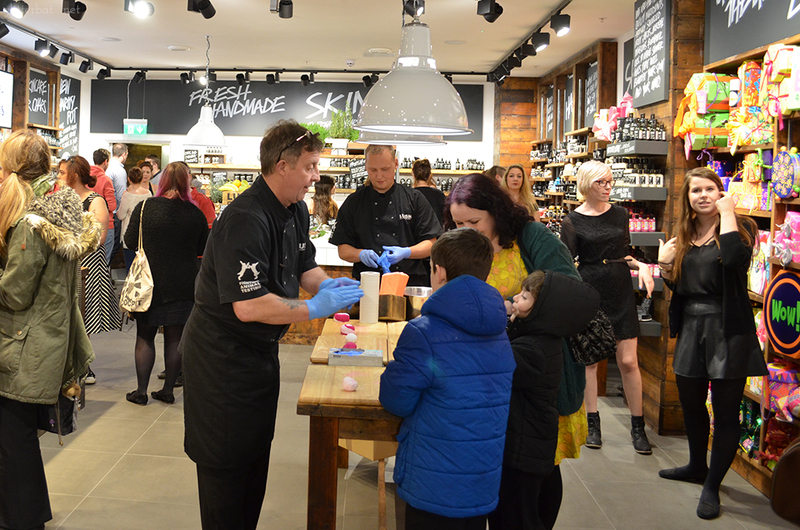 and they were just as excited as me for their first Lush blogger event. We were greeted with glasses of fizz by some of the Lush White Rose staff and gorgeous Urika, who had invited us to the event. 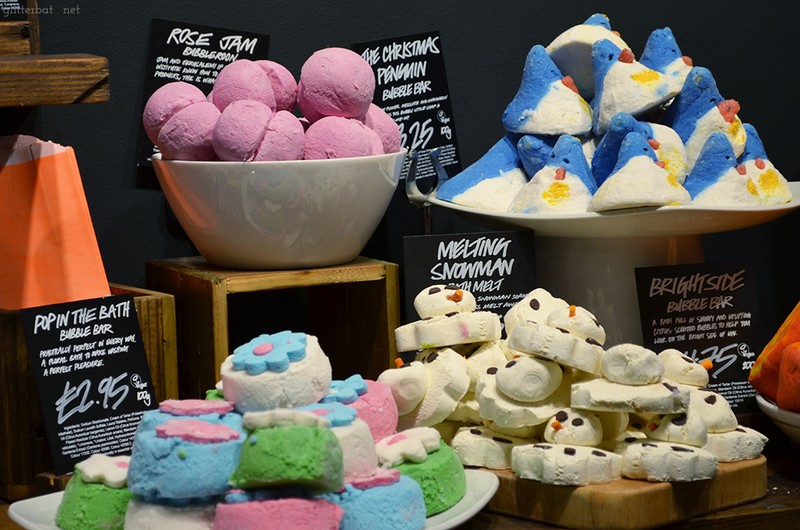 The three of us made a beeline for the bubble bars and ballistics, squealing at both the regular range and Christmas limited editions. The Luxury Lush Pud ballistic is a pretty pink colour studded with smaller different coloured mini bombs, which froth slowly and leave the pink water full of bright psychedelic swirls. It’s full of lavender and ylang ylang, and I could not resist picking one of these up for Dan, who loves the festive Christmas pudding design of the Lush puds. I was never a fan of the old brown ones, and much prefer this bright, colourful offering! 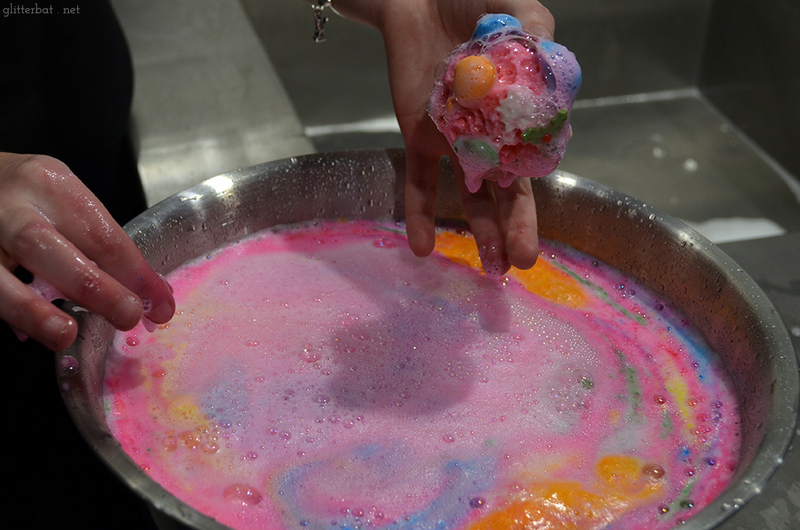 On the subject of super colourful Lush products, this Baked Alaska soap is to die for. 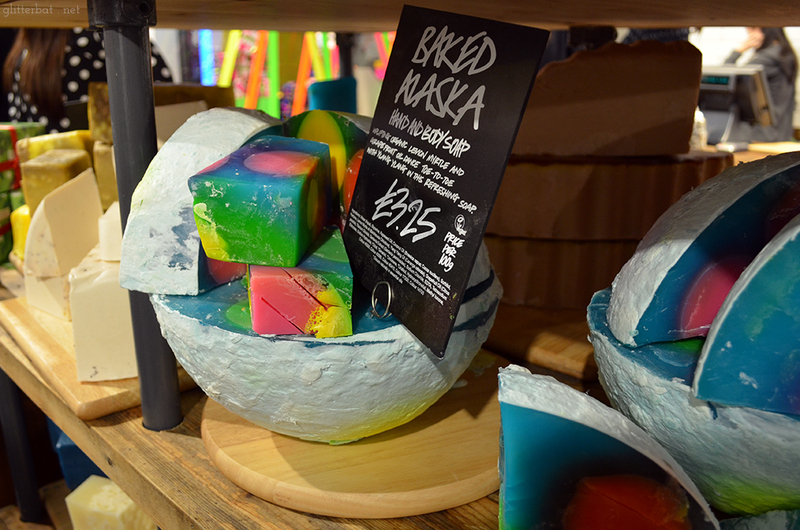 It’s an incredibly fresh, clean, citrus smelling soap that when sliced, reveals huge colourful sections set against a blue background. It reminds me of the Aurora Borealis, and I might have to get some of this before Christmas is over. 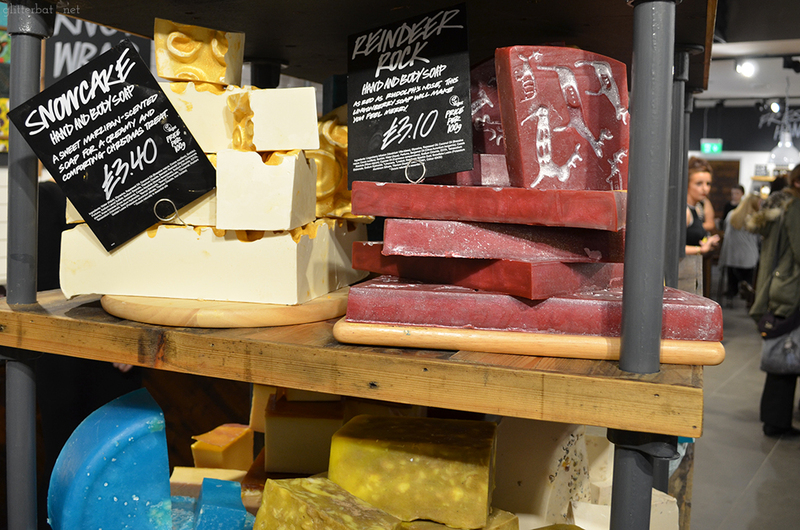 Another amazing addition to the Christmas range is the Reindeer Rock soap – this smells exactly like one of my favourite bubble bars, The Comforter. Way back when, I used to cocktail a chunk of Comforter with a ballistic called Black Pearl (long since discontinued!) which made the bath water a deep, glittery purple that smelled of Ribena and incense. I long for the day that Black Pearl returns! 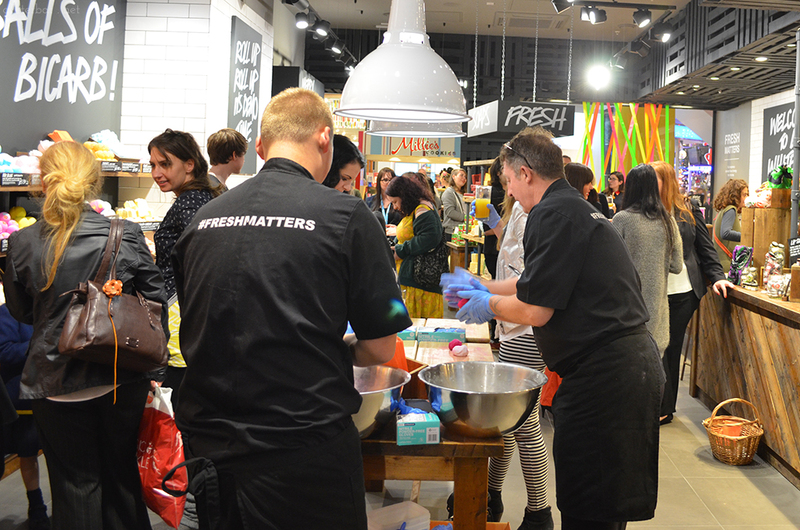 I was absolutely thrilled to see that Lush White Rose had brought in some guys from the Lush kitchen to teach us how to make our own Comforters – there was no way I could pass up an opportunity like that! Claire, Bridie and I jumped at the chance to swirl together the white and pink dough, making a little cone and squishing it down with our palms – I think we all did quite well, and I can’t wait to use mine! Throughout the night we were treated to cocktails inspired by the Lush perfumes range – my all time favourite Lush perfume has to be Lust, a heady jasmine scent… but the cocktail of the night (for me!) 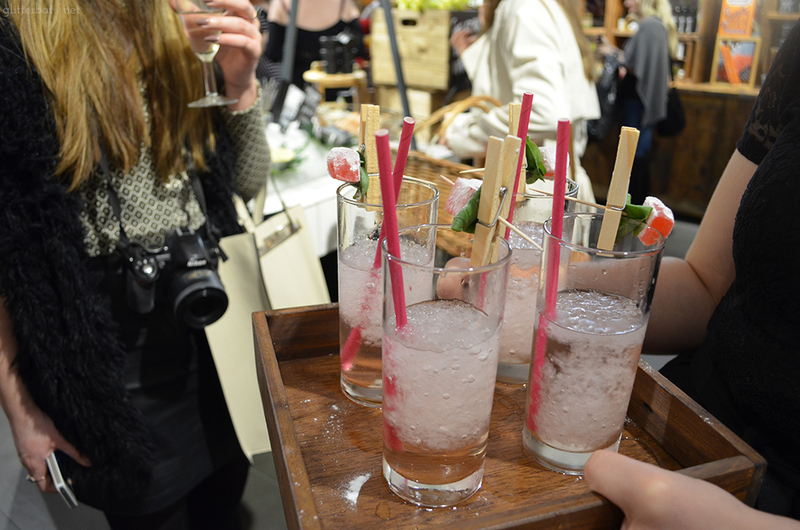 was the Imogen Rose inspired offering featuring rose lemonade, rose vodka, and topped off with Turkish delight. 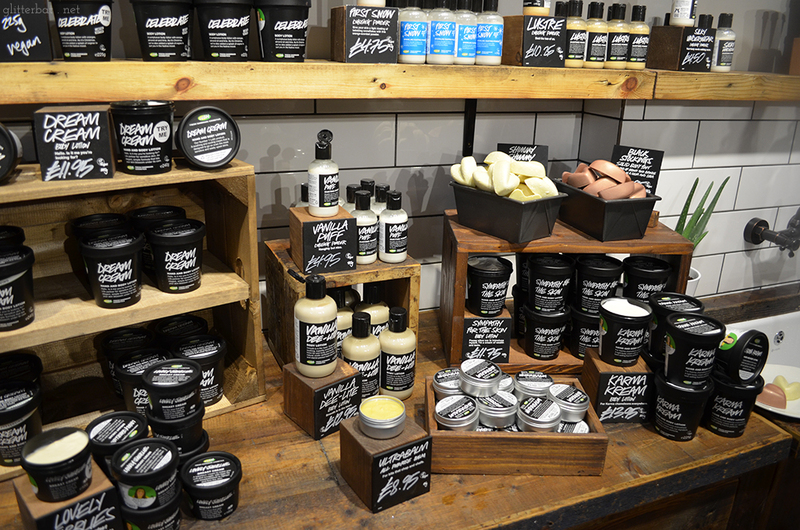 It was good to see that most of my old skincare favourites are still on the go, even if it is a couple of years since my obsessive Lush only routine tapered off. 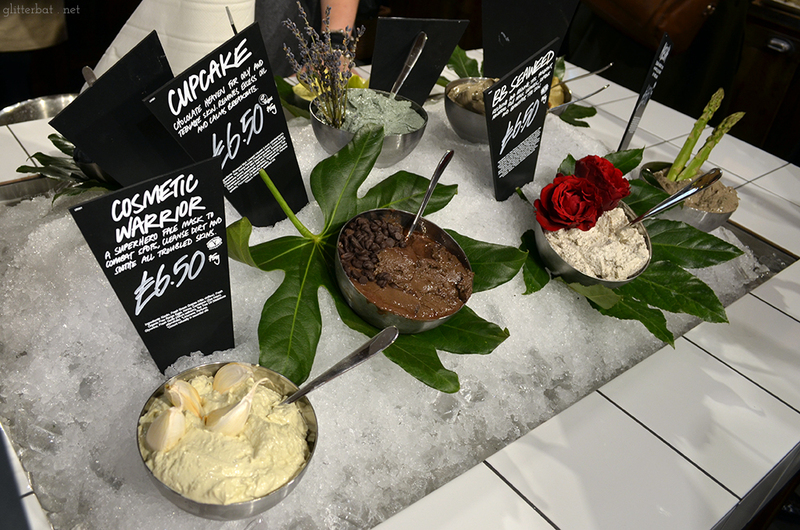 You absolutely cannot beat Lush’s fresh face masks, and I’m a huge fan of Brazened Honey, Catastrophe Cosmetic and Cupcake. 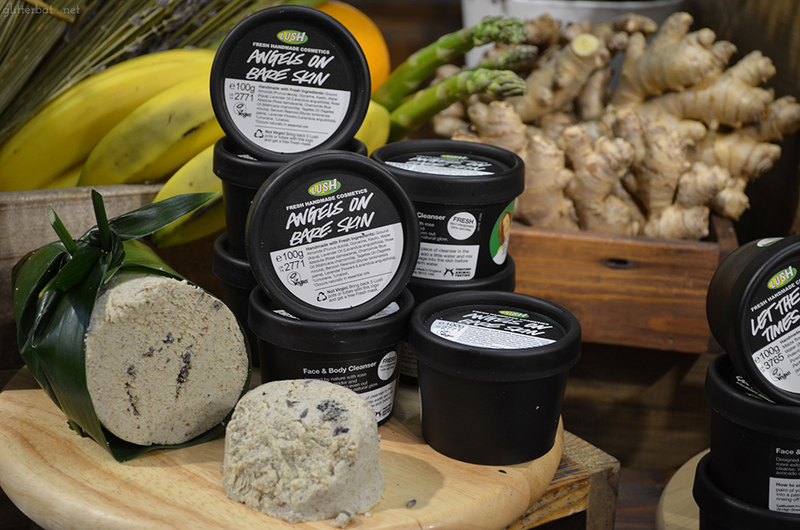 I had a good long chat with some of the staff about the new hair care products, including new solid shampoo bars and intensive hair treatments. 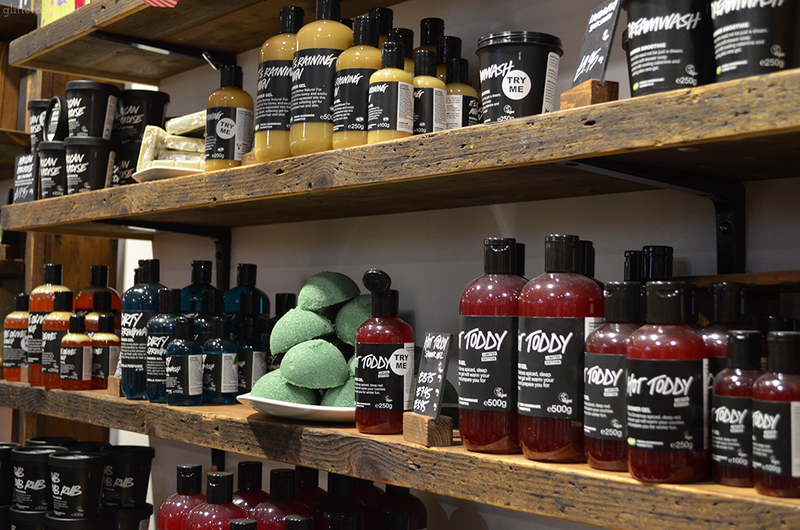 I’m absolutely dying to try the Fairly Traded Honey shampoo, as it smells incredible! I love the Lush dusting powders – I still have some left over Candy Fluff from years ago, and use the Silky Underwear dust for making the rubber of my dollies’ legs less sticky when dressing them for photo shoots. I was really excited by the Lustre dusting powder, and although it’s got the most intoxicating jasmine scent it’s far too golden for my milky pale skin! 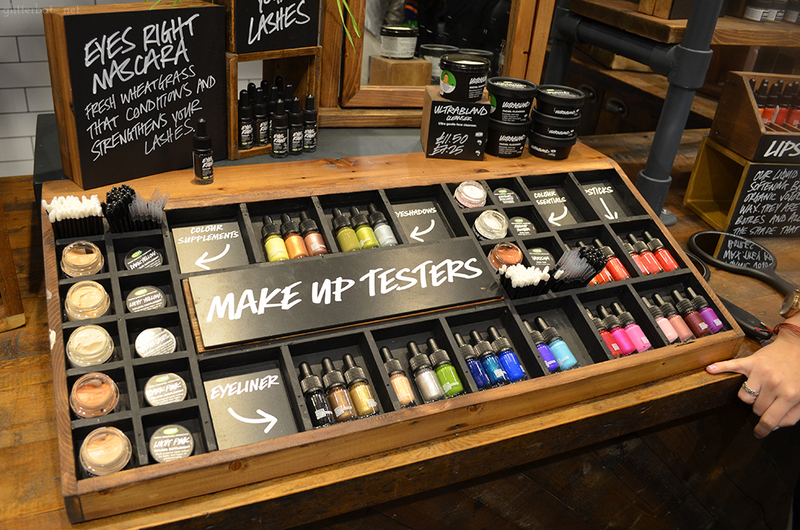 Also, how beautiful is this display of the Lush makeup range? I just love the tiny bottles – they are so pretty! Part of the Christmas gift range this year is super bright, themed around German Techo /Nordic Pop, hence the neons and crazy prints. 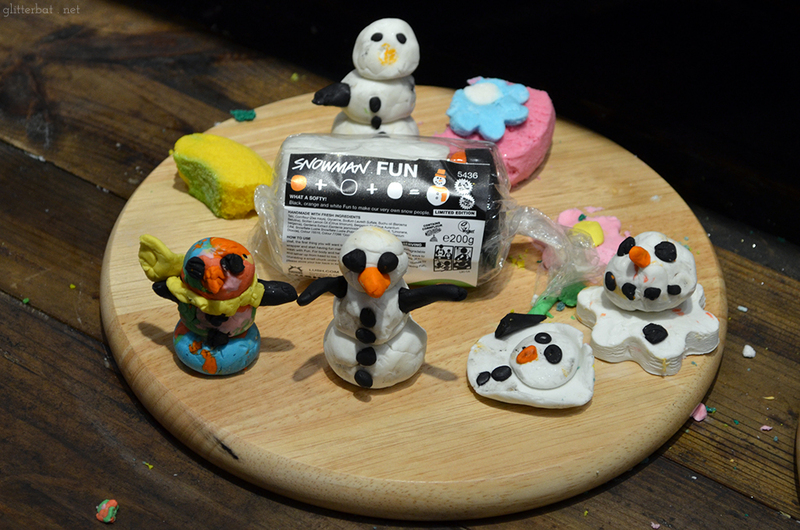 We were challenged to build snowmen using the Snowman Fun Kit – multi purpose, play-dough-esque and as the name suggests, FUN. I took it upon myself to build a German Techno/Nordic Pop snowman, so mine’s the multicoloured acid-trip snowman on the left. Claire built a lovely traditional snowman (next to mine) and Bridie went all over-achiever on us and used the cookie cutters to make the rather excellent melted snowman on the far right. One of the surprising moments of the night came when we had the chance to try out the tuning forks used in the Lush Spa treatment, The Sound Bath. 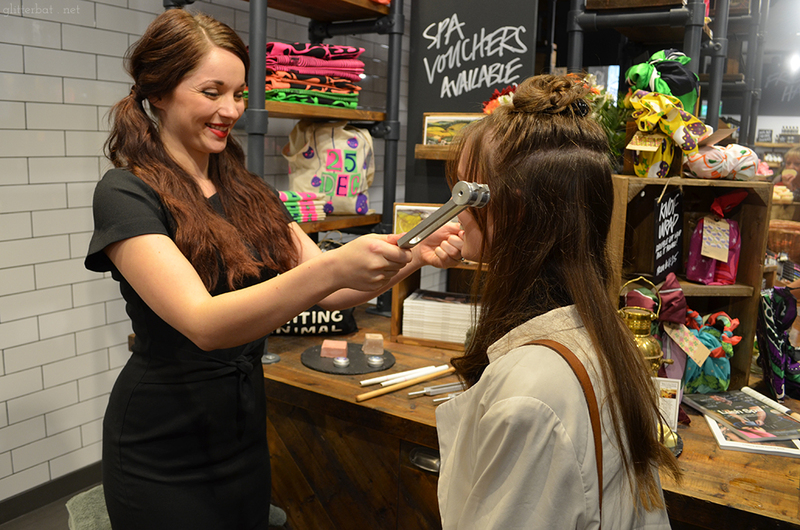 This is a meditative spa treatment which uses singing bowls, ear candles, and tuning forks (which you can see being used on Claire and Bridie in the pictures). The forks are struck and moved around by your head, or placed on the heart chakra – even in the busy shop the demo was deeply soothing and gave such an unusual, strong sensation. 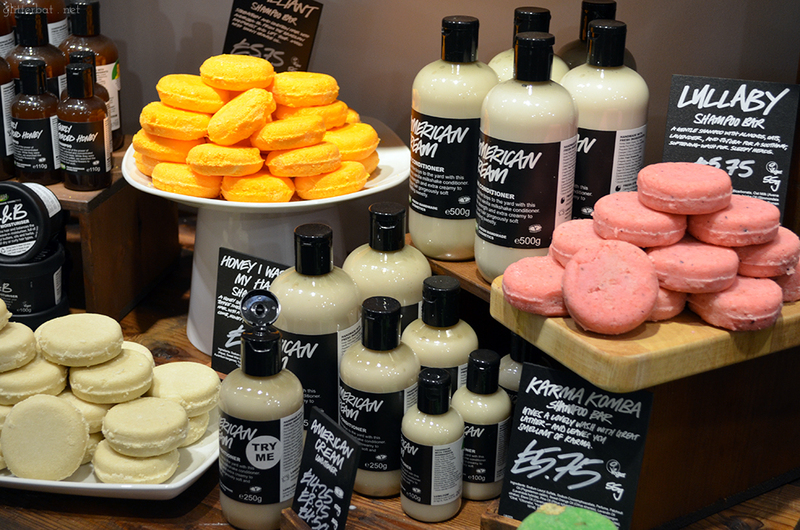 A trip to the Lush Spa is definitely on my wishlist! 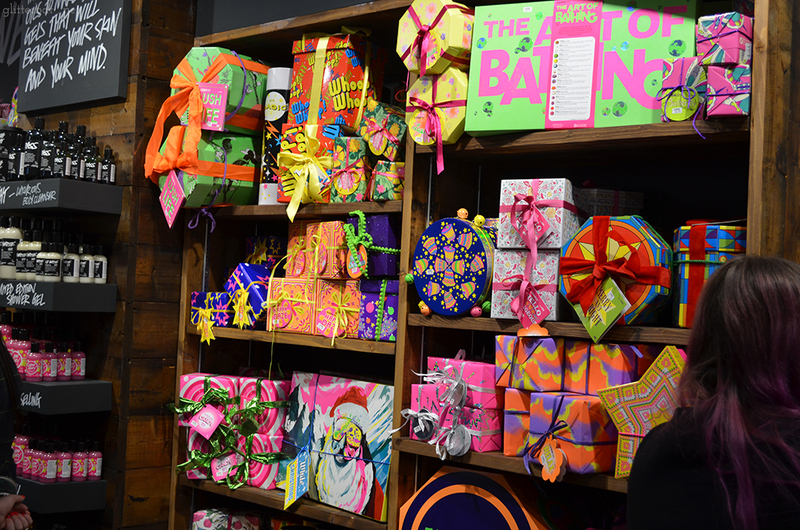 Of course, some shopping happened… no surprises there, right? A lovely surprise however, was the selection of goodies I was gifted with as a I left the store. 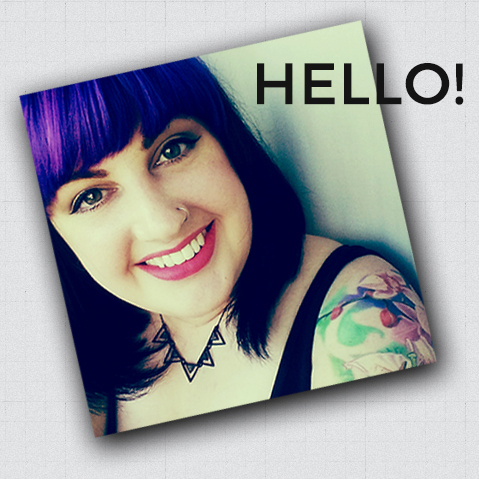 I do think this post is long enough as it is for now, so watch this space for a Lush haul in the next few days! 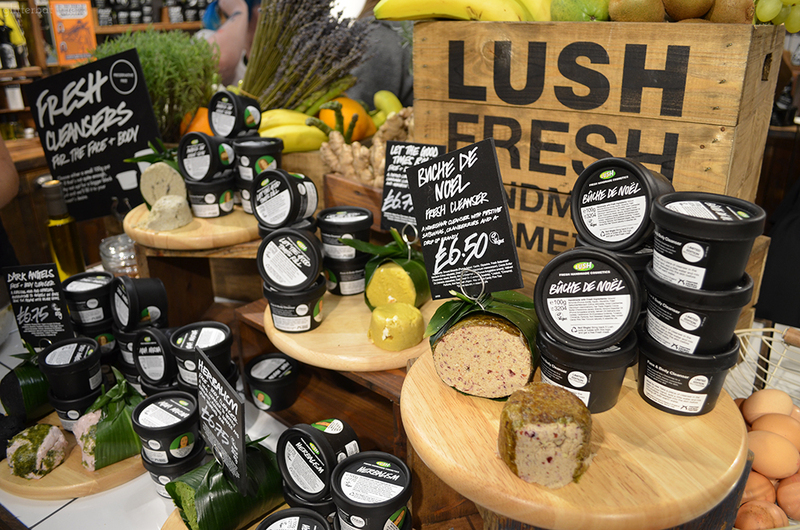 I had an incredible night at the Lush White Rose opening night, and am so pleased to see another local Lush store opening up. 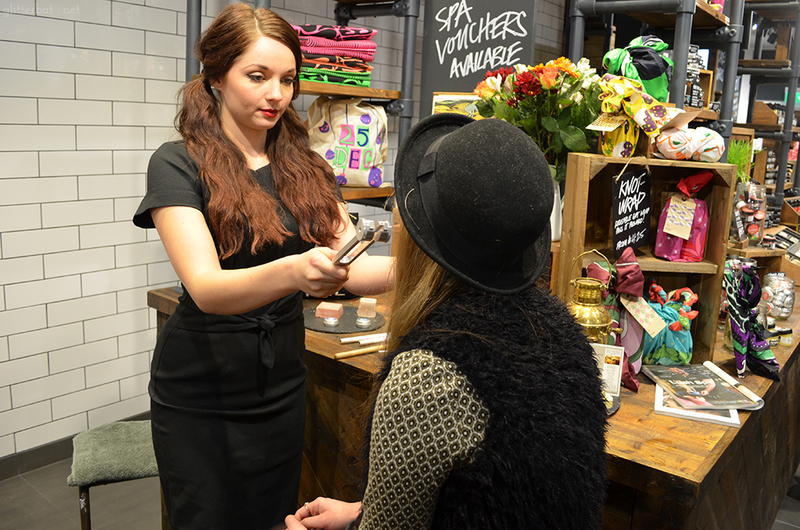 A huge thanks to Urika for the invite, and to all the lovely staff at Lush White Rose for having me! I really wish I could have made it! 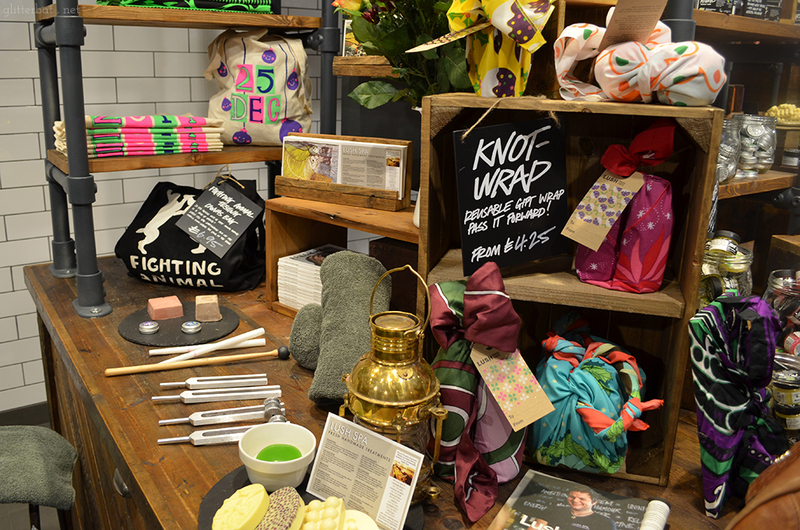 Going to Lush spa is my dream! 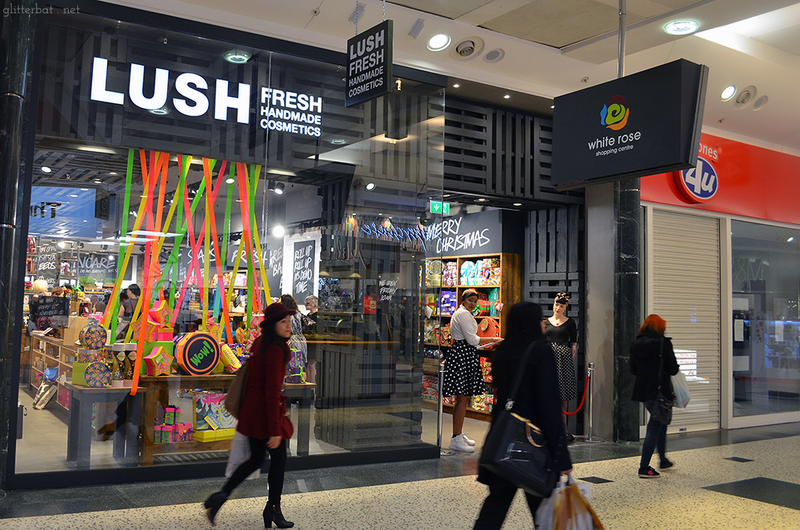 I’ve been to Lush before but have never bought anything. Which products would you recommend as in terms of maybe soap, shampoo, and hand cream? I love the snow mans! 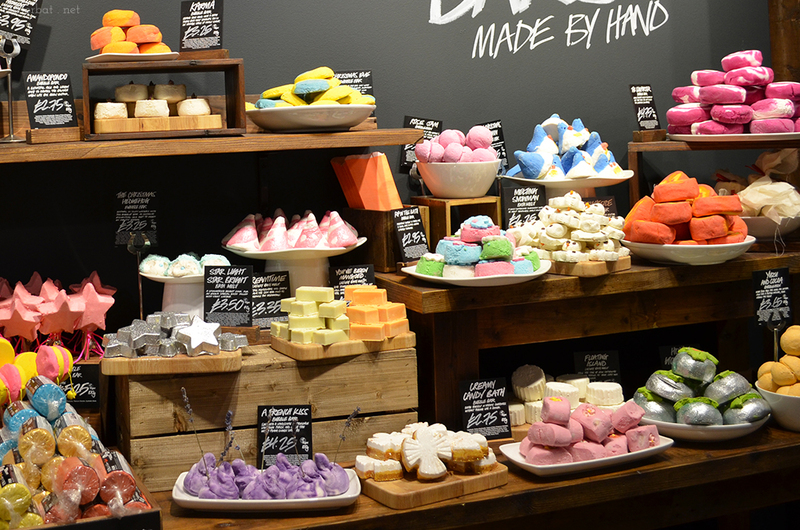 I think it depends on what kind of scents you like the most – my first Lush products were soaps, Rockstar and Honey I Washed The Kids, both of which smell really sweet! I really like a soap called Demon In The Dark (apple, mint and clove), but you can’t get that in the UK easily and I’ve been using up my stash that I bought in America! I’m not too fussed for Lush hand creams, with the exception of Lemony Flutter cuticle butter, as that stuff is brilliant! 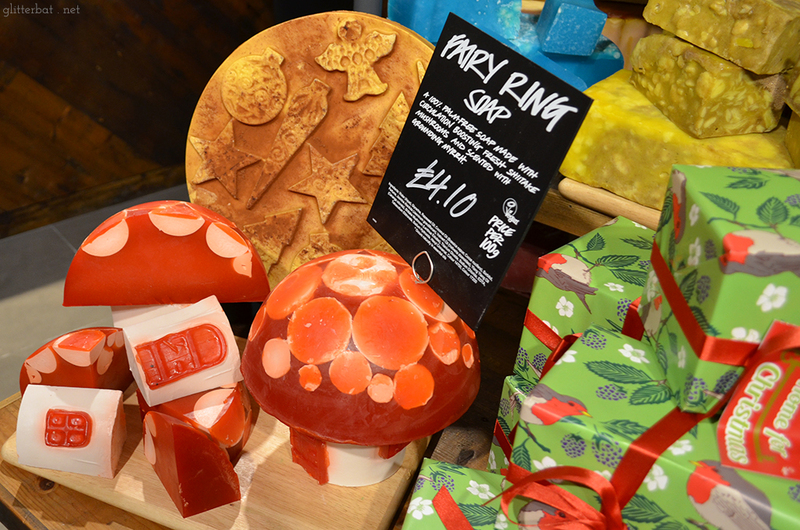 Over Christmas, I’d say try the Snow Fairy shower gel. It’s a best seller, and it’s really obvious why once you use it! I used to use this as a shampoo and a shower gel, it smells like sweets, it’s bright pink and full of glitter! Another Candy Fluff fan! I miiiight have done a hoardy stock up when it discontinued…. I’ll probably run out next year and it deeply saddens me.